What this Prestashop product review module does for you? 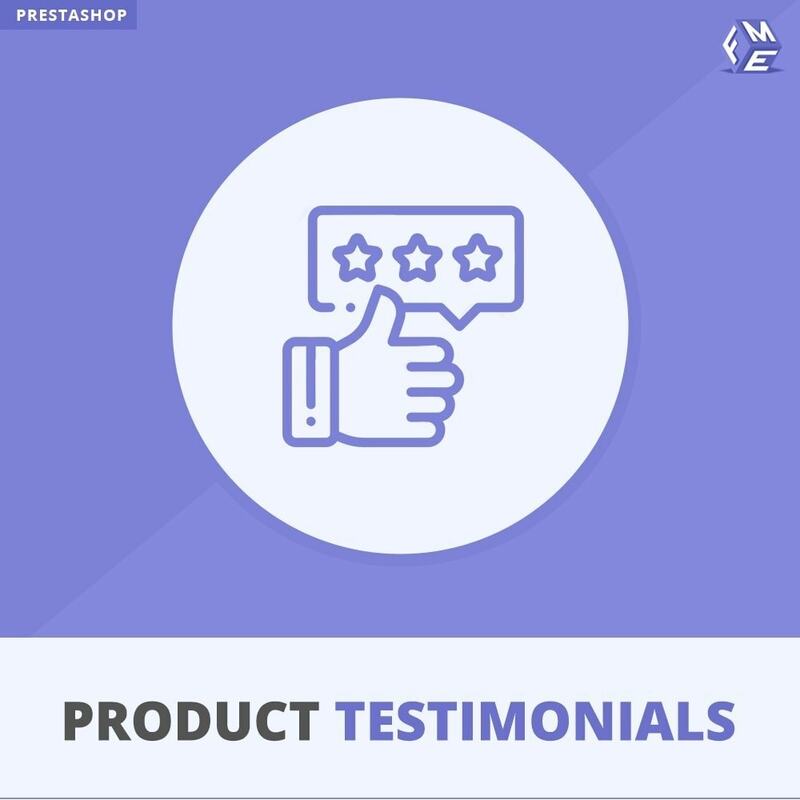 The most important aspect between retailers and consumers that sets a business apart is a customer freedom, and PrestaShop Product Testimonials module is the gateway to this freedom. It allows you to showcase experiences of existing customers with your products, in the form of testimonials. It can be about the performance, design, services, innovative ideas or any other particular feature. This PrestaShop product reviews extension increases the trust and confidence of the customers in your products. Product reviews also help drive more search engine traffic. This module adds a great level of engagement on your product pages such as when customers evaluate testimonials with ratings, it keeps your pages active and trustworthy. You can also configure other settings and manage testimonials visibility for the customer to see. See more on Demo. The main idea behind allowing testimonials for customers is to show clean and dauntless website for visitors to admire. Once you are representing your business online, you need have an impeccable reputation for gathering clients because status matters in an online transaction. This product reviews plugin gives you 2 in 1 functionality. Customers can not only add testimonials for product pages but also about the website itself. You can manage the backend with ease and relief. See Demo for details of this PrestaShop review module. Access the “Add Testimonials” form you can choose sliding or popup format while opening it. The label of the smart button can be personalized. Watch our Demo for a better understanding of features for FME Product Testimonials extension. With testimonial forms, customers can easily express their thoughts and opinion about your products and service they have consumed. The potential buyers find it quite helpful to read customer reviews for the products they are about to purchase. A dedicated landing page for reviews allows the online users an easy access to the testimonials submitted by satisfied customers.